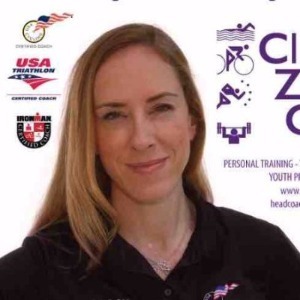 Clare Zecher Coaching specializes in educating and enabling their athletes to achieve their goals. Coaching programs are available for running, cycling, swimming, duathlon and triathlon. We specialize in individualized coaching programs that maximize the time our athletes have available so they can trust that their time training is being well spent and optimized. Group programs for local athletes are available. We "Coach For Performance and Train For Life". What do you want to achieve? As a coach that has been through it all herself, Clare brings experience, education and mastery to her coached athletes. A self-described goal-oriented, qualitative and quantitative coach, Clare has coached her athletes to their best performances. Using both science and art in her coaching style, her methods are research based and well proven. She currently has successful athletes in many disciplines. Coach Clare has been riding bikes and racing triathlons for more than 25 years, and marathoning since 1999. Clare has competed in Ironman and Ironman 70.3 distances (somewhere north of 40 races) as well as numerous marathons, and the famed 1200K Paris Brest Paris and La Marmotte (109 miles, 17,500’ climbing) with plenty of cyclo-cross and off-road racing included. She is a Silver Ironman All World Athlete for 2016 & 2017, a three time USAT Team USA qualifier in both long course and winter triathlon, and the Ironman 70.3 World Championships. Coach Clare is a CSCS, and an ACSM CPT. A certified coach by Ironman, USAT, USAC and Training Peaks. She has attained numerous qualifications in mobility, rehabilitative and functional training. Success. Coach Clare Zecher has been notified of your message. To hire Clare Zecher as your coach, select the coaching service that is right for you.